Besides the Arch, St. Louis’s biggest tourist attraction is probably the Budweiser brewery located in South City. The factory tours are free and do not need reservations. The tour lasts an hour, but you have the option to leave after the first stop, which is the Clydesdale stables. My friend Peter in the Clydesdale stables. After the stables, the next stop is the fermenting tanks. These are the largest containers I have ever seen and can brew an unfathomable amount of beer. The tour goes on for about another hour and goes through the entire brewing process. The highlight of the tour is the last stop, the tap room. Here, Anheuser-Busch gives everyone on the tour (over 21) 2 free samples of the freshest beer on earth- straight from the tap. Since AB owns so many breweries, there are a lot of different beers to choose from. They also give out free pretzels and free soda. For some reason, the Sierra Mist in the brewery (and nowhere else) is unusually tasty. 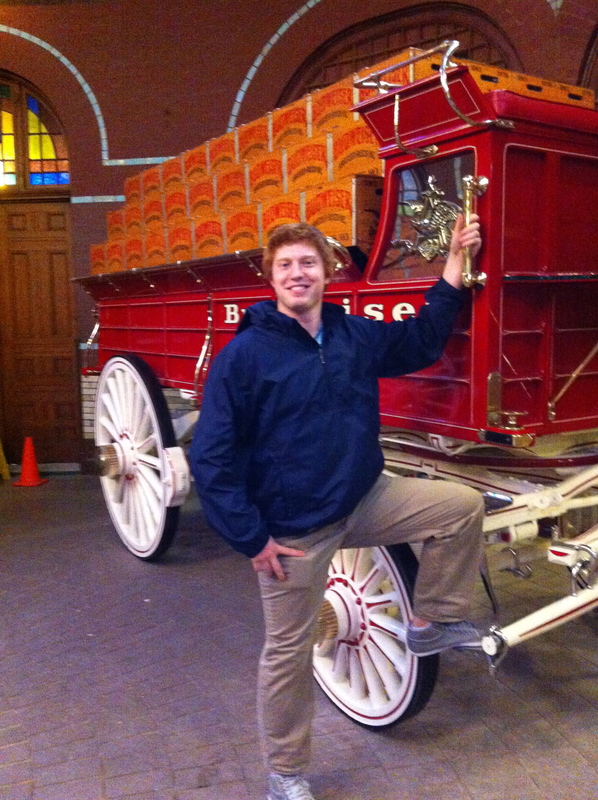 So if you want to see a St. Louis landmark or just want free beer, definitely stop by the Budweiser brewery.